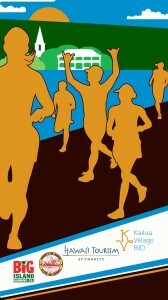 On Tuesdays everyone is invited to join the Tuesday Trot 5k Fun Run and walk through Historic Kailua Village. Big Island Running Company coordinates the non-competitive, free weekly event that begins a their Alii Drive store location in the Coconut Grove Marketplace starting at 5pm. Walk, run or stroll, just be sure to be there and have fun. Browse the Event archive. Event Categories: Events, Sporting Event. Event Tags: free, fun run, run, sports, walk. Bookmark the permalink. Trackbacks are closed, but you can post a comment.